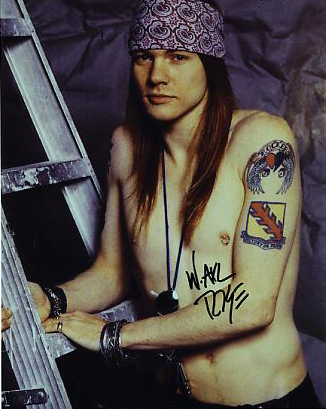 Guns N’ Roses‘ Axl Rose has the emblem and phrase tattooed on his left arm. The saying dates back to the Ottoman Empire and also has ties to “The King” Elvis Presley himself. 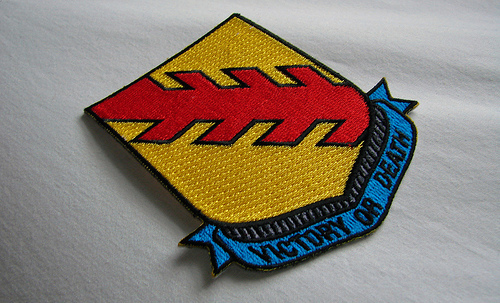 Victory or Death is the motto of the 32nd Armored Regiment of the United States Army. The motto also served as an inspirational order to this first of the 3rd Armored Division’s two great battering rams. 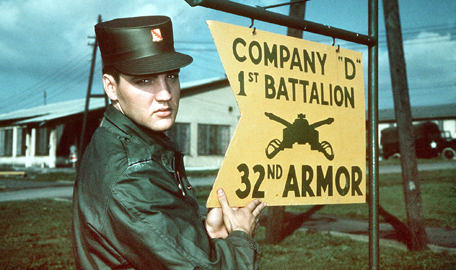 It is also visible on the yellow-and-red regimental emblem in some photographs of Elvis Presley during his Army service in Germany with that regiment, and in his later film “G.I. Blues”. You can see the emblem on the hat of Presley in this photo. 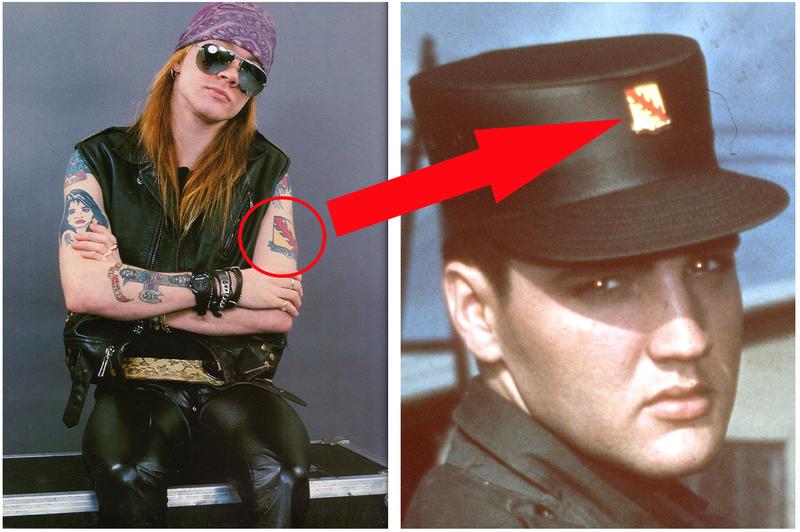 Not sure if Axl, who did not serve in the US Military knew of this connection or he just thought it looked cool. 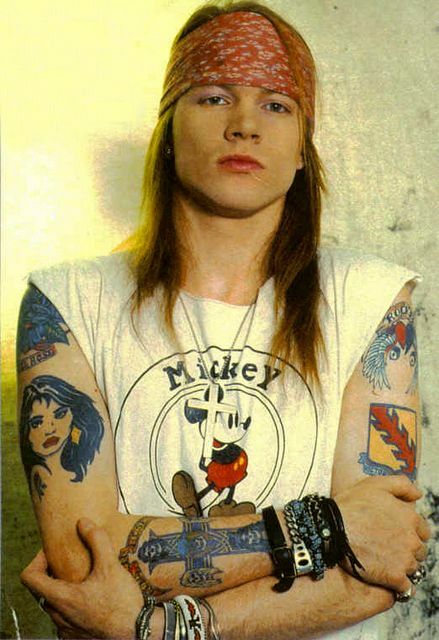 Axl is a fan of “The King“. 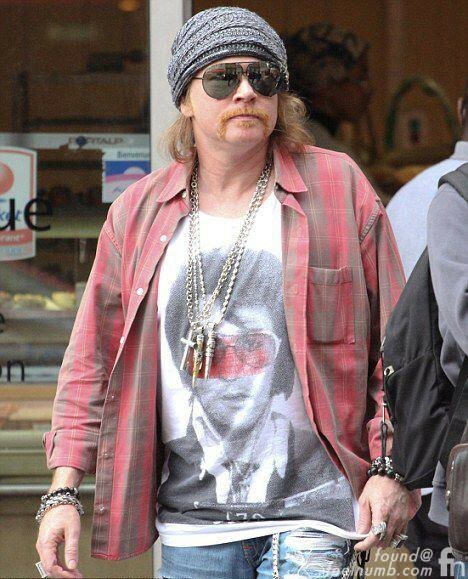 Check out his shirt in this recent photo.